Soon after our pond was built, the wildlife moved in. 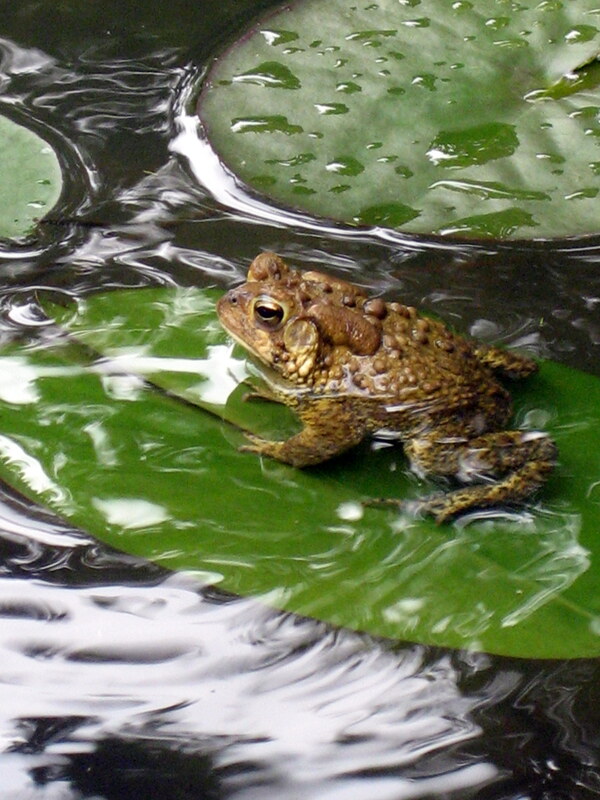 Almost immediately, Mr. Toad began living pond-side. Soon, the kids discovered Mr. Toad. 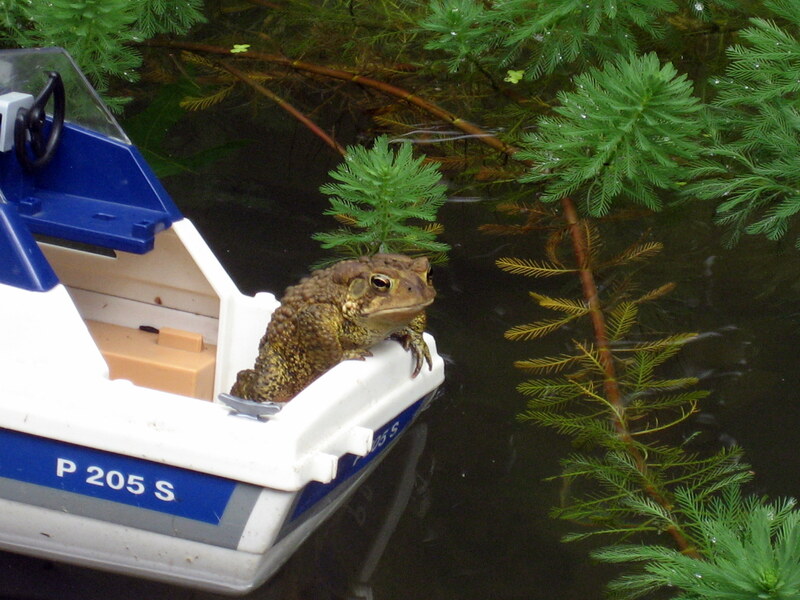 Then the kids helped Mr. Toad find a boat….looks relaxed, doesn’t he? Mr. Toad took a 1/2 hour ride in the boat. Since escaping the boat, he has never been seen again. Do you blame him? Posted on August 3, 2010, in Pond and Koi. Bookmark the permalink. Comments Off on Mr. Toad’s Wild Ride.